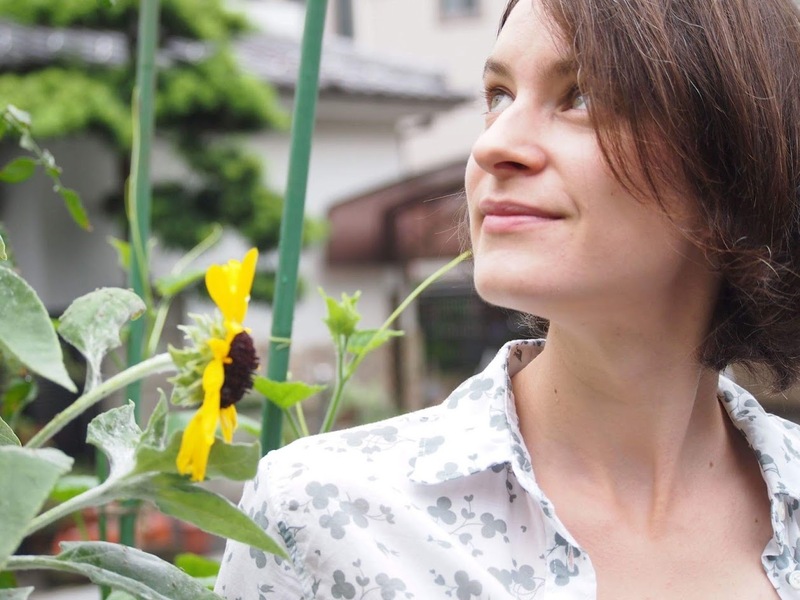 The Koishikawa Korakuen garden is, maybe, the best example for an Edo period daimyō strolling garden. Tokugawa Yorifusa, the eleventh child of Tokugawa Ieyasu and head of the Mito clan, started to build his residence and garden here. 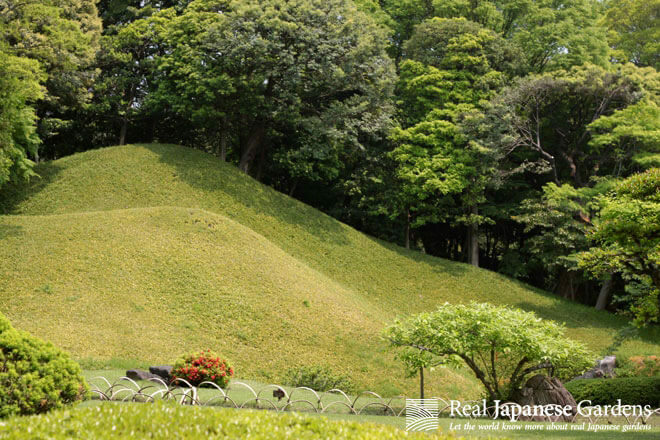 His son Tokugawa Mitsukuni completed it in 1669 as a garden with Japanese and Chinese elements. 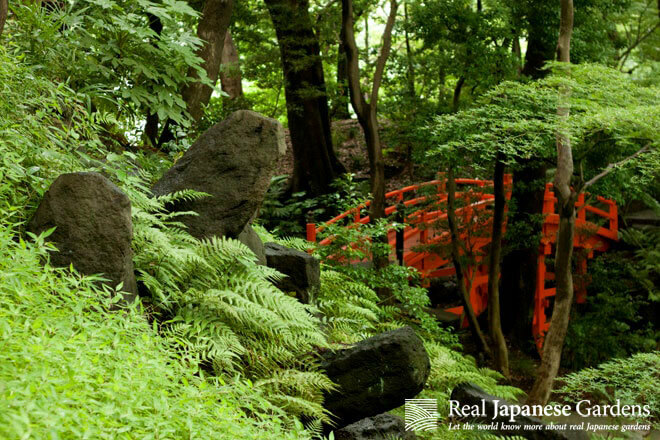 The vermillion red bridge of Koishikawa Korakuen Garden. Sho-rozan’s perfectly trimmed bamboo-covered slopes. 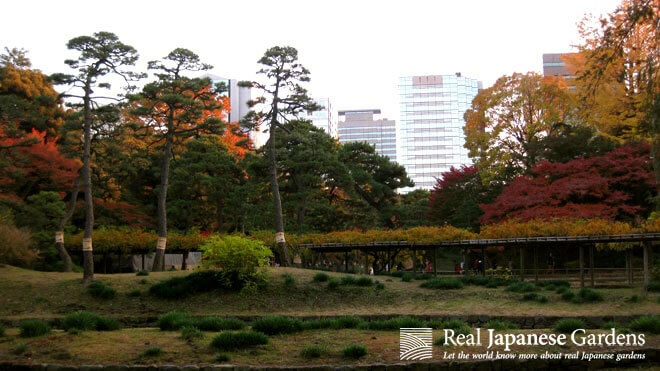 Colorful autumn scenery in the Koishikawa Korakuen Garden. 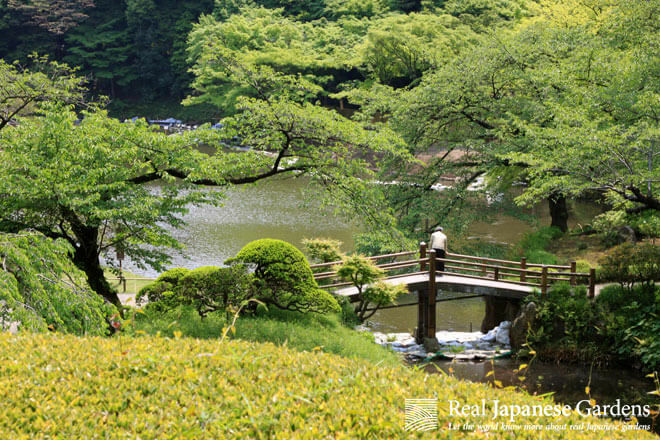 The old bridge in front of Sho-rozan in the Koishikawa Korakuen Garden.